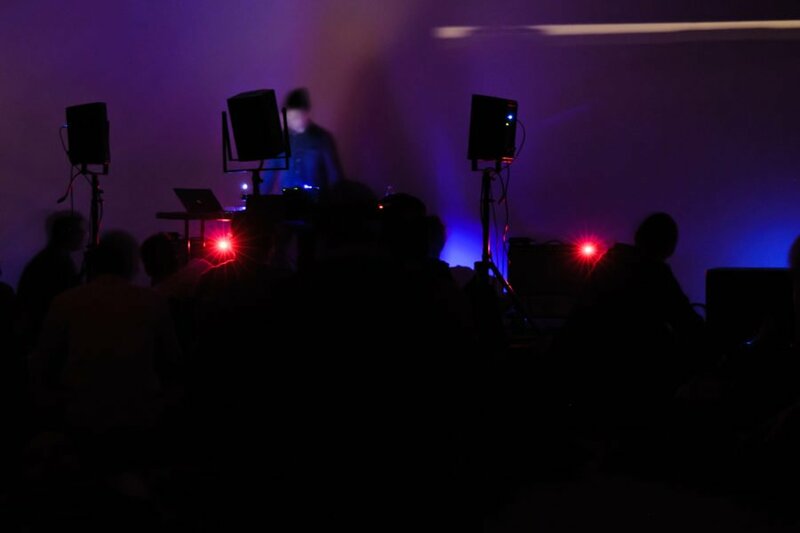 immersound_LAX will showcase artists Christopher Bissonnette (CA), Tim Hecker (CA), and Akira Rabelais (US), for an intimate evening of performances in an immersive 6.1 channel installation. shibui_oto is pleased to present immersound_LAX in partnership with Human Resources and VOLUME. immersound is a concert series/philosophy initiated by artist France Jobin, which proposes to create a unique listening environment by focusing on the physical comfort of the audience through a specifically designed space. The premise for immersound is to seek out/explore new perceptions and experiences of the listening process by pushing the notion of “immersion” to its possible limits. Set in a very intimate context, limited to an audience of no more than 40, the architecture of the multi-channel sound system is consistent and evolutive in its design and tuning. The artists work collaboratively with the curator and and sound engineer to develop musical compositions unique to the immersound experience. Christopher Bissonnette is a Canadian musician/sound artist/designer living and working in the Detroit/ Windsor area. He has released two full-length albums for the Chicago based label Kranky and more recently a collaborative recording with David Wenngren (Library Tapes) on Home Normal. Bissonnette is also a founding member of Thinkbox, a project-based collective that has explored art, sound and video in a variety of contexts ranging from art galleries to music venues. Bissonnette began his career studying fine art at the University of Windsor with a major in video and multimedia. His intense interest in sound art began while creating audio works to support the abstracted imagery of his visual work. Bissonnette also experienced the rise of the Detroit electronic music scene in the early nineties and began to develop a distinct sound of his own. Experimenting with “purist” techno sounds, working with analogue synths and rhythm machines, he soon discovered that this was ultimately unfulfilling. In 1996 Bissonnette teamed up with Mark Laliberte to form Disseminator Audio, which produced hybrid performances of sequenced tracks, turntable experiments and spoken word. Bissonnette refined his practice producing audio, video and installation work. In 1997 Laliberte and Bissonnette began working with Windsor film and video artist Chris MacNamara, founding Thinkbox, a media collective focused on the intersection of art and electronic music. Thinkbox produces art in a variety of media and spaces from art galleries to nightclubs and have fronted a series of limited edition themed compilations. In 2004 Thinkbox was invited to perform a showcase at the Mutek music festival in Montreal. In addition to a collaborative performance with the other five members, Bissonnette offered a solo piece derived from a body of work that would be the foundation of his solo debut release, Periphery. 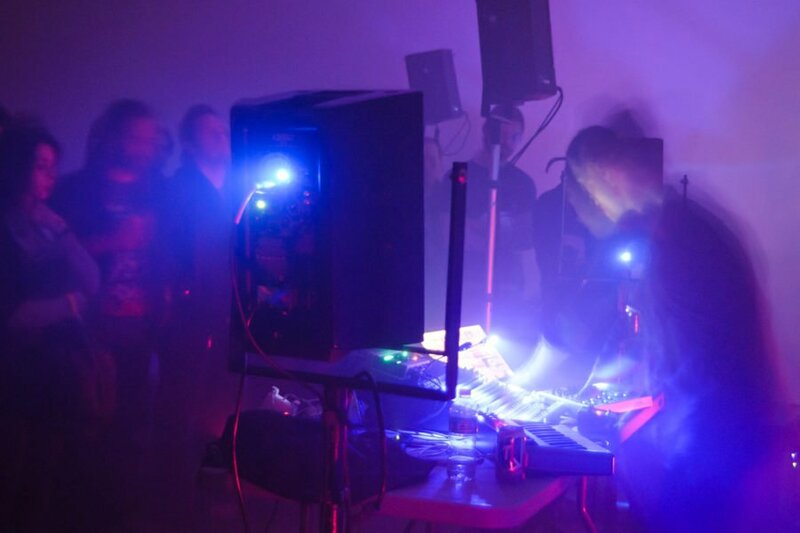 Over the past ten years Bissonnette has continued to expand his aural vocabulary and production techniques incorporating elements of concrete, field recording and modular synthesis. An intellectual pioneer as much as anything else, Akira Rabelais issued forth musical creations and inventions from his perch at CalArts. Born and raised in South Texas, one of his childhood pastimes involved shooting metal plates with BB guns so that he could experience the unique sound that it caused. That fascination with sound, combined with a philosophical and literary bent (his favorite surreal and magical realist snippets of literature are on his website, www.akirarabelais.com) helped lay the path for the musical creations he has been issuing since 1990 — he describes himself as a “composer writing software, not an engineer making music.” The software that Rabelais made reference to in that quote, or at least the most famous among his inventions, was the Argeïphontes Lyre. With functions like Eviscerator Reanimator, Time Domain Mutation, Morphological Disintegration, Verwechslung Kaffeetass, and the Lobster Quadrille, the Lyre was a program that allowed the user to make a number of alterations to a piece of pre-recorded sound. The program quickly became a favorite of electronic music composers such as Terre Thaemlitz and Scanner, who used it to create disorienting sound shifts. Rabelais’ own CD, Elongated Pentagonal Pyramid (Ritornell, 1999), showed the stamp of the Lyre, with its multiple layers of gently wavering sound. Eisotrophobia followed in spring 2001.